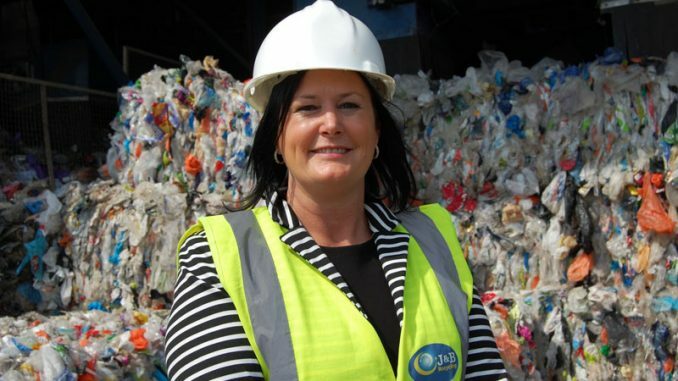 A leading Tees recycling company is bucking the trend within its market by forecasting 40% growth on top of the audited previous year’s 100% growth in challenging markets. Hartlepool-based J&B Recycling has increased the amount of waste it can process by over 25%, bolstered by its recent £600k upgrade. The latest investment is part of a £2.5m continuous improvement programme to its main plant, creating more skilled engineer roles in the process. The Materials Recycling Facility (MRF) in Hartlepool had two major upgrades installed last year and two further upgrades are planned for this year, with the latest one in January already installed and commissioned. J&B Recycling’s new advanced automation equipment improves the quality of product outputs, achieving the highest specifications demanded in the commodity markets and increasing overall throughput by 25%. The firm is now recruiting skilled engineers to operate the machinery to ensure compliance with high specifications required for quality fibre grades demanded in the market. Managing director Vikki Jackson-Smith said: “Our continuous investment in our plant makes sure that we are maximising our end product quality – this is central to J&B’s ethos. “Efforts to excel in the end product quality is more important than ever to remain sustainable as offtake markets become ever stricter on quality specifications. J&B Recycling’s new equipment also ensures councils do not have to change their current collection methods and revert to single collections of fibre grades, allowing economic mixed recycling collections to continue. Due to the additional capacity created, the company is now focusing on expanding its local authority kerbside processing contracts, its contract portfolio already including Sunderland City Council and Hull City Council. As well as the recent plant upgrade, J&B Recycling has replaced its fleet of vehicles, taking delivery of two 32 tonne hook loaders this month to complete its 2018-19 fleet upgrade. In the last year, the firm has renewed eleven of its varied fleet of vehicles allowing much more flexibility and increased services. Vikki added: “At J&B Recycling we genuinely pride ourselves on offering a reliable, high quality service to all our customers.